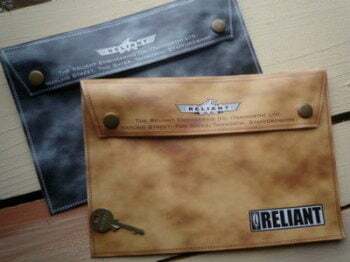 Reliant - I Say Ding Dong Shop - Buy Stickers, Decals & Unique Automobilia. 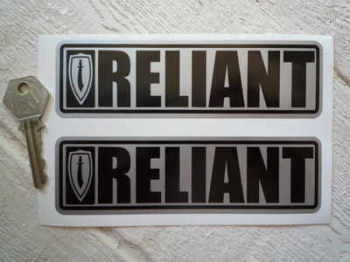 Reliant Black on Silver Oblong Stickers. 4" Pair. 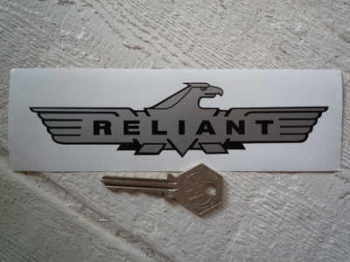 Reliant Eagle Sticker. 6" or 12". 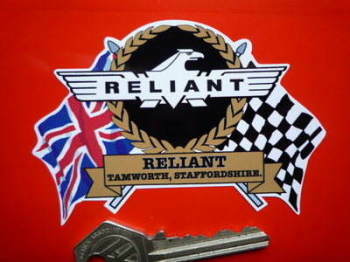 Reliant Flag & Scroll Sticker. 3.75". Reliant Great Britain Union Jack Style Stickers. 2" Pair. 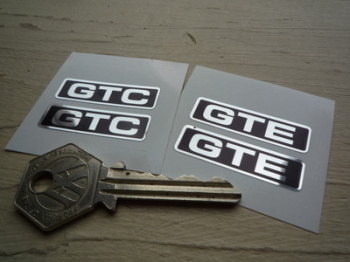 Reliant GTC or GTE Interior Stickers. 1.5" Pair. 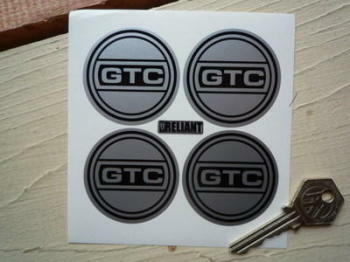 Reliant GTC Wheel Centre Style Stickers. Set of 4. 38mm, 45mm, or 50mm. Reliant GTE Wheel Centre Style Stickers. 36mm Pair. 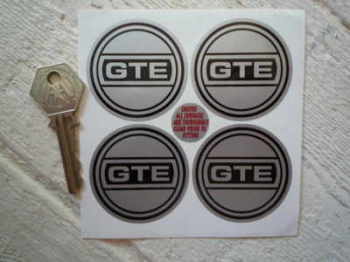 Reliant GTE Wheel Centre Style Stickers. Set of 4. 40mm, 50mm, or 54mm. 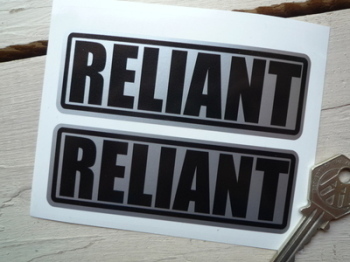 Reliant Logo Nationality Country ID Plate Sticker. 5". 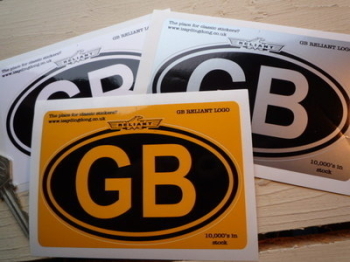 Reliant Oblong Body Badge Style Self Adhesive Car Badge. 4". 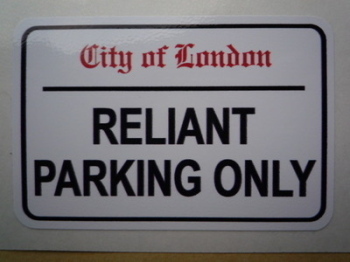 Reliant Parking Only. London Street Sign Style Sticker. 3", 6" or 12". Reliant Sabre Old Style Wheel Centre Stickers. 38mm or 50mm. Set of 4. 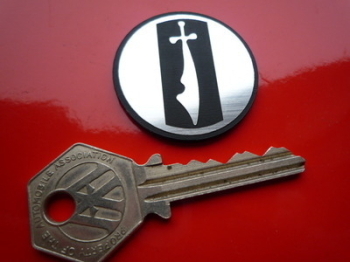 Reliant Sabre Scimitar Laser Cut Self Adhesive Car Badge. 1.5". 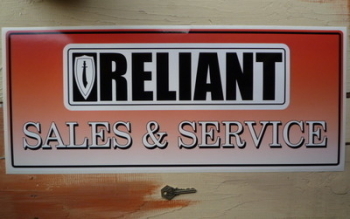 Reliant Sales & Service Sticker. 23.5". Reliant Scimitar GTC Shaded Cut Text Sticker. 12". 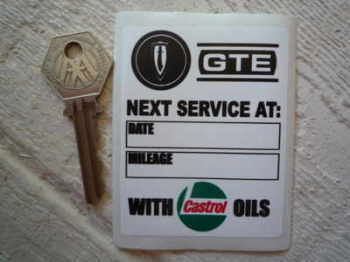 Reliant Scimitar GTE & Castrol Oils Service Sticker. 3". Reliant Scimitar GTE GTC Shield Body Badge Style Self Adhesive Car Badge. 3". Reliant Scimitar Oblong Body Badge Style Self Adhesive Car Badge. 5.5". 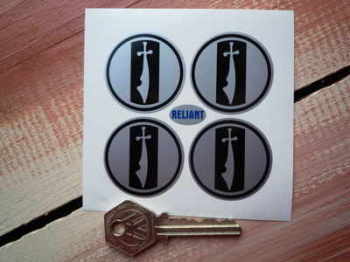 Reliant Scimitar Oblong Stickers. 6" Pair. Reliant Scimitar Shaded Cut Text Sticker. 8". Reliant Scimitar Wheel Centre Style Stickers. Set of 4. Various Sizes. 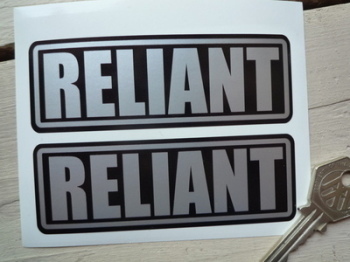 Reliant Silver on Black Oblong Stickers. 4" Pair.